No matter what your expertise level might be, you'll find plenty of useful information in makeup application videos. These instructional videos are as inspiring as they are informative; use them as learning tools and as a way to get your creative juices flowing! When it comes to applying makeup, there are no real hard and fast rules for application. Sure, there are certain oft-relied upon methods that people generally tend to adhere to, but there's no denying that one of makeup's great allures is in its potential for creativity. What works for some may do nothing for others, and vice versa, so for all intents and purposes there's no specific need to actually study makeup application unless you plan to make a living doing it. Perhaps that's where individuality really comes into play. You're essentially grabbing the bull by the horns and taking control of what you use and how you use it. There's no harm in taking inspiration from other talented folks, though, and that's where the beauty of makeup application videos really shines. You might learn how to apply makeup from a talented friend, your mother or other relative, or you might do like millions of others and just teach yourself! If this is the route you choose, you don't have to worry about going it completely alone. Utilizing helpful instructional materials, such as online tutorials, books or the aforementioned videos, can turn you into a cosmetic brush-wielding talent in no time. Look no further than the Internet to find a diverse selection of training videos. You'll find information from the professionals and the everyday makeup connoisseur. Here's just a taste of what's out there. Where better to turn than Chanel for some truly in-depth advice? The classic brand is no stranger to the world of beauty, and its collection of online videos published on YouTube invites visitors to learn more about products and how to apply them. 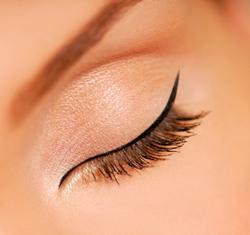 There are videos for everything from applying felt tip eyeliner to concealing trouble spots. Learn how to achieve the highly coveted "natural face" of makeup. Maybelline's instructional video is divided into five chapters, each focusing on specific products and application tips. The video gallery also schools visitors on how to amp up their eyelashes, perfect their pout for a big night out, achieve a salon-worthy manicure at home and look years younger. It's all available to watch here. Renowned makeup artist Bobbi Brown certainly knows a thing or two about applying color cosmetics, and that's evident in her collection of instructional videos. Available to view on Brown's official Web site, the videos offer more than just application techniques. You'll learn which colors to use, how to make the most of your product (and get the most bang for your buck!) and how to make the color last all day long. Visit the individual product sections on Brown's site to view videos. Thanks to the world's beauty mecca, you can learn all you need to know about makeup application from a variety of companies. Whether you're curious about whitening your teeth with GoSmile, aren't sure how to apply Bare Escentuals foundation, want to perfect your false eyelash application technique or want to get your hair into better shape courtesy of Jonathan Product, you'll find all of that information (and much more) at the Sephora video gallery. Celebrity makeup artist Elke Von Freudenberg shares her arsenal of beauty tricks in this seven part series. Learn how to apply blush and bronzer like a pro! Of course, no piece on videos would be complete without a mention of YouTube. The intensive video library contains tutorials on achieving the perfect smoky eye, using MAC cosmetics, creating an adventurous Halloween face, how to use specific brushes, which products to use on specific skin types and so much more! Type in a few choice key words and see what you come up with.